Curtis Thompson, CPA.CITP, CISA joined YHB | CPAs & Consultants in 1995, with a B.S. degree in accounting from Shepherd University. 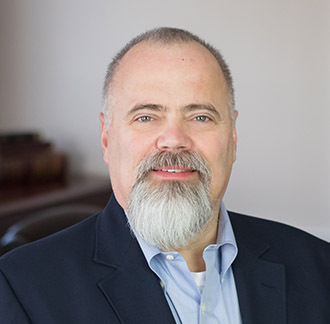 He is a member of the American Institute of Certified Public Accountants, the Virginia Society of Certified Public Accountants and the ISACA (Information Systems Audit and Control Association.) Curtis has been the Chief Compliance Officer with YHB | Wealth Advisors since it's inception 2017. Curtis developed his business acumen through owning a retail store and serving as the general manager of a regional oil company. At YHB | CPAs & Consultants, his work in the tax department and consulting with small businesses continued to develop this experience. Throughout his time at YHB he has provided IT audit and consulting to clients, even while holding the position of the firm’s IT director for several years. Now, as head of the YHB Risk Advisory Services Team, Curtis focuses on assisting organizations in a variety of industries with SOC Audits, internal audits, and IT-related audit and consulting services. He frequently speaks and gives presentations on Cybersecurity, internal controls, and IT issues.